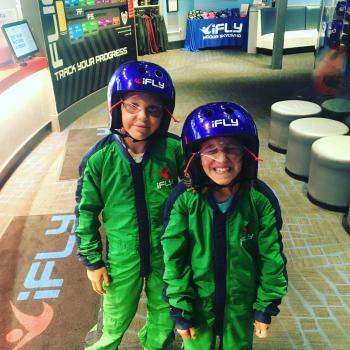 Experience the thrill of flight in a safe and reliable environment at iFLY, the company that created modern indoor skydiving. After catching air in the giant vertical wind tunnel, watch it all back in high-def video captured during your flight session. Kids ages three and up are clear for takeoff. 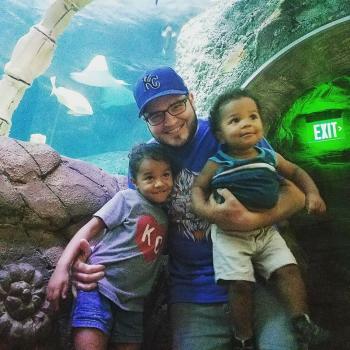 Whether you prefer to encounter sharks and jellyfish or perhaps get hands on with sea urchins and starfish in the touchpool, SeaLife Kansas City Aquarium—with its 5,000 sea creatures—has an underwater adventure for everyone. Entertainment and competition come together at TopGolf Overland Park, which features a myriad of tee-off bays facing a 240-yard outfield with dartboard-like targets. The closer to the “bull’s-eyes” you get, the higher your point score! 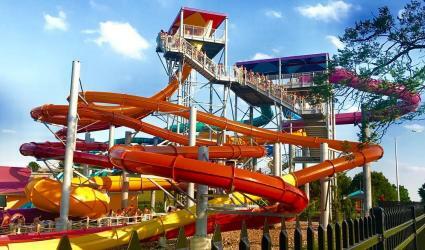 Splish-splash in the Surf City Wave Pool or race your friends on the 400-foot high twin Typhoon slides at Oceans of Fun. For a more relaxed visit, give the 800-foot lazy river a try. From pony rides and a petting zoo to cow milking and mini-tractor races, Deanna Rose Farmstead will keep the kiddos entertained for hours. But of all the fun farm activities, the best photo op is almost always bottle-feeding the baby goats! 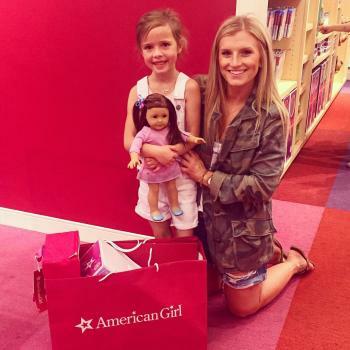 The American Girl Store inside Oak Park Mall is the perfect “Girl’s Day Out” for mothers, daughters and their dolls. Shop the newest doll collections, accessories and award-winning books then pamper your American Girl at the Doll Hair Salon. 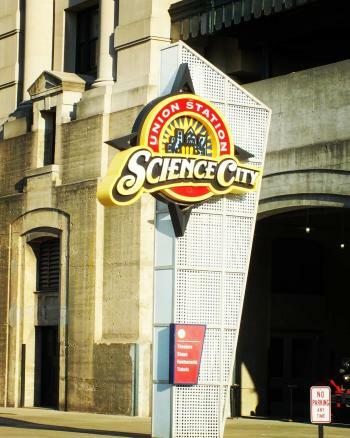 Kids of all ages have a blast exploring genetics, biology, engineering and more at Science City at Union Station. 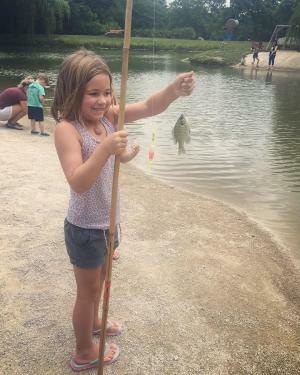 From a hands-on fossil dig to an out-of-this-world NASA-style space shuttle simulator, the fun (and learning) never ends! 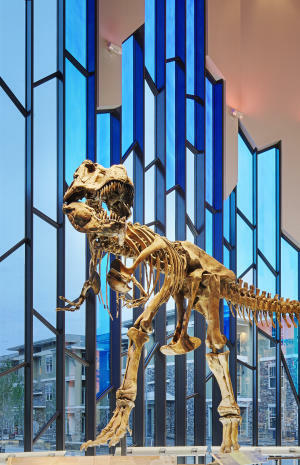 Unleash your inner paleontologist at the World’s Largest Dinosaurs exhibition at Museum at Prairiefire (open through Sept. 4). Kids ages 3-12 will love getting their hands dirty uncovering fossils in the Dino Dig Pit. And for those feeling extra brave: hold a hissing cockroach in the palm of your hand! 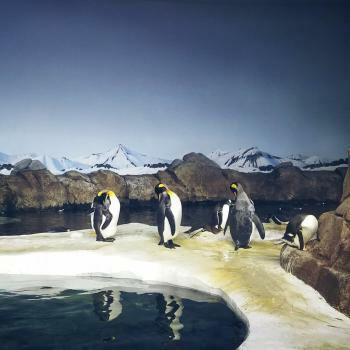 From the North Pole to the Kansas City Zoo, Berlin the Polar Bear has become one of the most active and popular Zoo residents. Don’t leave without catching a birds-eye view of the 202-acre animal kingdom on the African Sky Safari ride, or travel between the elephants and flamingos by Zebra Tram. 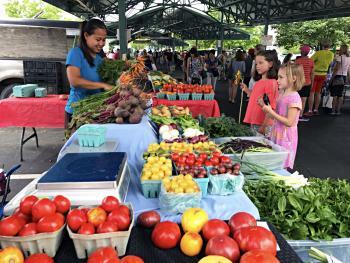 The more than 80 local vendors at the Overland Park Farmer’s Market in Downtown Overland Park offer everything from gargantuan juicy peaches to vibrant floral bouquets. Outside the main tent, children of all ages can be seen dancing to the live music and taking part in interactive art projects.